Summary: Authorizes states to sponsor industrial hemp research absent federal reclassification of the plant. The change in law allows for licensed farmers to legally grow hemp for the first time since World War II. Summary: Earmarks up to $10 million within the state's medical marijuana program fund to be utilized specifically to "gather objective scientific research regarding the efficacy of administering marijuana and its component parts as part of medical treatment." The law also establishes a 'scientific advisory council,' which may include expert participants from around the nation, to evaluate research proposals and make recommendations in regards to funding requests. Summary: Calls on the three state agencies, the Department of Agriculture, the Department of Consumer Protection, and the Department of Economic and Community Development to evaluate the feasibility of legalizing the possession, production, and sale of industrial hemp "for the purpose of encouraging economic development and increasing the number of new businesses in this state. Summary: Amends the District's marijuana possession penalties from a criminal misdemeanor (punishable by up to 6 months incarceration and a maximum fine of $1,000) to a civil infraction (punishable by a $25 fine). Summary: Amends the city's medical marijuana program so that DC-licensed doctors will be able to recommend cannabis therapy for any debilitating condition for which he or she believes the plant may offer therapeutic benefits. Summary: Establishes a two-year pilot program at the University of Hawaii at Manoa to study the potential use of industrial hemp as a phytomediator (a plant capable of removing toxins from the soil) and as a biofuel. Summary: Amends the state's nascent medical marijuana law, initially approved in 2013, to allow for minors with intractable forms of the disease to be eligible to obtain and consume cannabis. Patients diagnosed with other qualifying conditions must be over the age of 18 to legally participate in the state's program. Summary: Reclassifies cannabis possessing less than 0.3 percent THC as an industrial crop. It also seeks to establish licensing requirements and regulations governing the production of and commerce in hemp, as well as for the scientific study of the crop. Summary: Expands the pool of those who can legally advise patients on the use of medicinal marijuana from physicians to 'medical providers' - a classification that includes certified nurse practitioners. Summary: Provides for the state-licensed production and dispensing of marijuana to qualified patients who possess a written certification from their physician. 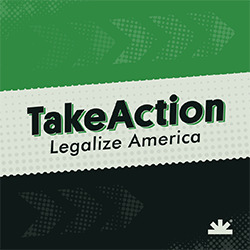 Summary: Amends existing penalties for marijuana possession offenses involving ten grams or less from a criminal misdemeanor (presently punishable by arrest, up to 90 days in jail, a $500 fine, and a criminal record) to a non-arrestable, non-criminal fine-only offense ($100 fine for first-time offenders, $250 for second-time offenders). Summary: State regulators intend to license two producers of cannabis and up to eight distribution centers. To be eligible to participate in the state's program, patients need to possess a physician's recommendation (or the recommendation from a nurse practitioner or a physician's assistant) and be diagnosed with one of eight qualifying conditions. The plan does not permit qualified patients to possess or obtain whole-plant cannabis. Instead, the law mandates that state-licensed distribution centers provide oils, pills, and/or extracts prepared from the plant. Patients are permitted to ingest or vaporize, but not smoke, these medical cannabis preparations. Summary: Under the new law, the possession of ten grams or less of cannabis will be punishable by a fine only. The possession of greater quantities of cannabis will remain punishable by jail time. Summary: Reclassifies industrial hemp as an agricultural product and allowing for state-sponsored research into the plant's cultivation. Under the new law, cannabis possessing not more than three-tenths of one percent THC is exempt from the state's controlled substances act. Summary: Under the plan, state regulators intend to license five producers of cannabis-based preparations and up to 20 dispensing centers. The plan does not permit qualified patients to possess or obtain whole-plant cannabis. Instead, the program mandates that state-licensed distribution centers provide oils, pills, and/or extracts prepared from the plant. Summary: Reclassifies cannabis possessing less than 0.3 percent THC as an industrial crop rather than a controlled substance. The legislation calls on the state Department of Agriculture to develop rules and regulations governing the licensed production of industrial hemp by South Carolina farmers. Summary: Reclassifies cannabis possessing less than 0.3 percent THC as an industrial crop rather than a controlled substance. Summary: Under the program, the state Department of Agriculture may engage in the cultivation of cannabis containing no more than three-tenths of one percent THC for research purposes, including the study of whether extracts from the plant may be used as viable therapeutic agents. Separate provisions in the measure also seek to exempt qualified patients with intractable epilepsy from state prosecution if they possession extracted oils containing 15 percent or more of the nonpsychoactive cannabinoid cannabidiol. Summary: The measure increases the total quantity of cannabis these dispensaries may possess, and also removes a statutory provision limiting the number of patients that an authorized outlet may provide for. Other changes in the measure include allowing for naturopaths to recommend cannabis therapy and permitting licensed dispensaries to engage in home delivery to authorized patients.